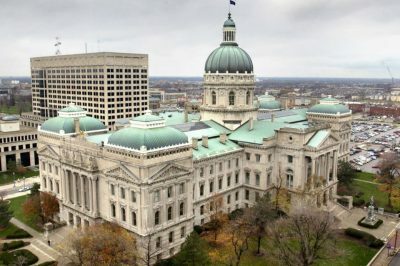 Indiana could become the ninth state to legalize sports betting after the House Ways and Means Committee passed a gambling expansion bill on Tuesday. If approved by the House floor later this month, the bill would allow sports betting operations to launch in the state on September 1. The Indiana sports betting bill, S 552, already won approval by the Senate in February and was later amended in the House Committee on Public Policy. In March, the committee removed a provision for mobile sports betting before giving it the green light. Tuesday’s hearing in the House Ways and Means Committee approved several amendments to the bill, which would sanction the construction of a new casino and the addition of more slot machines, electronic games, and table games. If passed into law, the measure would also allow sports betting from September 1. With this bill, lawmakers in Indiana are looking a comprehensive gambling expansion that would add sports betting, live table games, and a casino in Terre Haute. This would be a complete overhaul of Indiana’s gambling legislation that may also include a provision for treating gambling addiction and other gambling-related issues. The bill, which was passed with a 17-6 vote, is expected to receive approval from the whole House, as well, although there may still be some changes added to the language and different requirements. Senate Bill 552 has been amended multiple times and one of its more significant changes was the new Terre Haute casino license that would be granted by a local advisory board. Up to three operators would be allowed to make a minimum bid of $25 million. However, in order for a casino to be developed gambling would first need to receive approval from Vigo Country voters. If people in county vote for it, the number of casinos in Indiana would increase to 12. The latest amendment filed by Rep. Todd Huston includes important changes to the bill and its provision for sports betting, in particular. The original launch date for sports wagering July 1 is now moved back to September 1. The measure establishes a tax rate of 9.5% of sports betting revenue and reduces significantly the license fee from $100,000 to only $10,000. The regulator of this new gambling market, the Indiana Gaming Commission, will be able to issue temporary licenses. No amendments were made, however, with regards to mobile betting – if passed, the bill would not allow bets on sports to be made from mobile devices or computers. 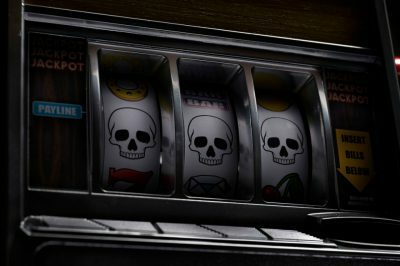 Despite the positive expectations for Bill 552, which is a massive piece of legislation and covers a wide area of licensing, operational, and tax issues, Indiana lawmakers wish to avoid changes to the gambling environment in the state that are too dramatic. One such shift would be online gambling and, most of all, mobile betting, which is why legislators decided to remove any language that would make mobile sports betting legal in the state. Many experts and lawmakers believe that easy access to mobile sports betting platforms would probably result in increased rates of problem gambling. Of course, the addition of a new casino and the introduction of legalized sports wagering would also increase the risks, which is why lawmakers decided to add a measure aiming at assisting compulsive gamblers. Huston’s amendment allocates 3.3% of the tax revenue collected from sports betting operations to specialized help for problem gambling.